Lahore is the heart of Pakistan and a city that needs no introduction whatsoever. Earlier known as the City of Gardens, Lahore has a mesmerizing historical background and an innate persona that never ceases to amaze. As clichéd as it may sound, Lahoris live along the motto Lahore Lahore aye! (Lahore is Lahore) and it is absolutely true when people say ‘Jinhe Lahore nai takya o jamya nai’ (He who hasn’t seen Lahore, has not yet been born). From Sufi shrines to delectable food to Mughal architecture to a vivacious social life, we bring to you the best of Lahore! Pakistan is fortunate to generally have been the land of Sufi saints and Lahore is what is known as ‘Data ki nagri’. The shrine of Hazrat Data Ganj Bakhsh Ali Hajveri, more commonly referred to as the famous Data Darbar brings in thousands of followers and believers from all across Pakistan. A typical day in Data Darbar consists of hundreds of believers of Sufism congregating at the shrine and saying prayers and giving offerings like food to the homeless and the needy at the shrine. Likewise, the shrine of Baba Shah Jamal in Lahore is a frequently visited one and every Thursday witnesses a grand banquet and festivity at the shrine. The annual urs of both these revered figures are major events that rake in thousands of avid followers to the shrines every year. Be it times of happiness or distress, boredom or excitement, scorching heat or freezing cold, food is every Lahori’s best friend. While Karachiites go out to enjoy the beach, Islamabadis enjoy the Margalla Hills’ treks, all Lahoris do is eat out at every occasion or lack thereof. From dripping jalebis to warm gulab jamans, from mouthwatering gol gappas to roadside kulfis, from barbeque to the indignant nihari and paye, name a thing and Lahore has it all for you. If we talk about high end food, The Lahore Social, Café Zouk, Polo Lounge, Cosa Nostra, Wasabi and Pearl Continental offer the best dining experiences one can locally find. Roof top restaurants are the latest trend in dining in Lahore. From the food street in Old Lahore to Lakshmi Chawk to fine dining on M.M.Alam, Lahore will never let you run out of new eateries to try. Lahore has enjoyed being the seat of development in the Mughal era in the past. 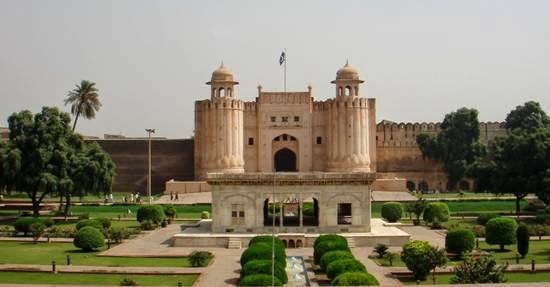 The city has a far dating history, the relics of which still stand tall in the form of the awe inspiring Lahore Fort, the beautiful Badshahi Mosque, the mysterious Hiran Minar, the Wazir Khan Mosque and Anarkali’s famous tomb. Hence, Lahore stands apart from every other city in the country with the most number of historical features and sheer architectural brilliance. Lahore has an extremely vivacious and happening social life that regularly hosts film premiers, the famous 42-day fitness challenge, the annual PFDC Fashion Week, the yearly Lahore Literary Festival, carnivals at the Alhamra Cultural Complex as well as the Lahore Music Meet that is the latest addition to Lahore’s social scene and will be an annual feature from this year. All of this makes Lahore the ideal place to reside for the long term. Many online real estate websites like Lamudi.pk can be used to do your research before contacting a real estate agent. Having a permanent home in Lahore is now in high demand more than ever before.